Our S-Biner MicroLock just got a colorful makeover in a tough polycarbonate body. 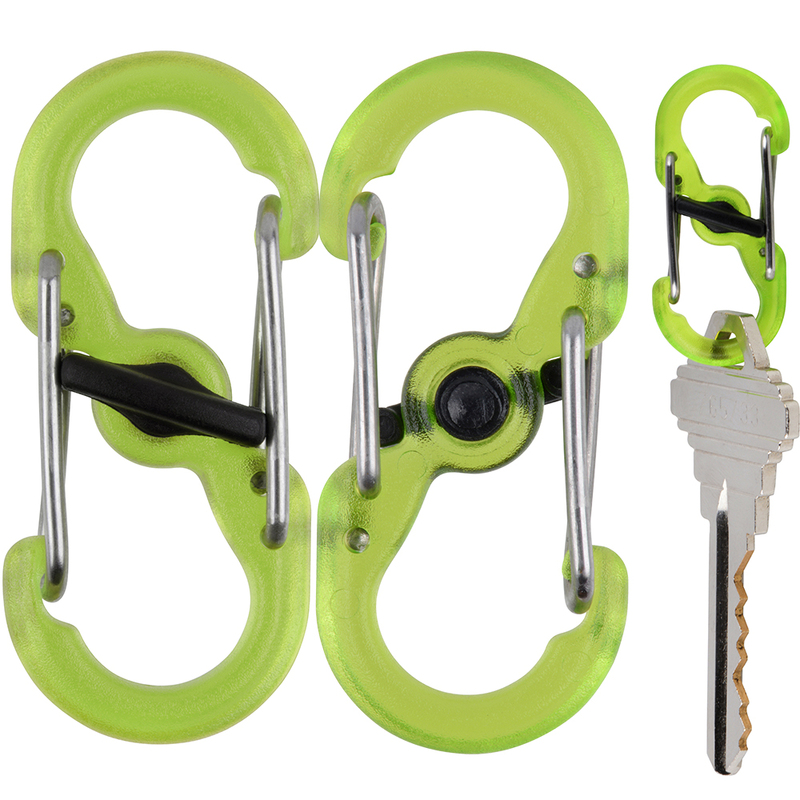 This colorful polycarbonate S-Biner MicroLock features an innovative locking lever which securely locks both gates with a simple twist to securely hold keys or other small items. This mini S-Biner features a center locking lever, stainless steel wire gates, and a tough polycarbonate body. These colorful tools are the perfect size for holding, organizing, and identifying keys or other small items. The simple twist-to-lock lever keeps items steadfastly in place, making this S-Biner as versatile and convenient as it is secure.